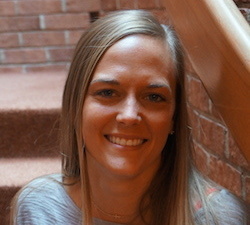 Jessica completed a Bachelors of Arts from the University of Wisconsin-Oshkosh and is currently pursuing her Masters of Education in Creative Arts at Carthage College. She brings teaching experience from schools in the suburbs of Chicago, inner city of Milwaukee, Racine Unified and a small town near Melbourne Australia. What brought you to Prairie? and what were your first impressions? Prairie has an amazing art department and with the opportunity to teach so many things from drawing, to printmaking, to glassblowing, it is a position that many art teachers dream of having. I’m so impressed with the facilities and the faculty at Prairie. I’ve felt very welcomed these past few weeks and everyone seems to be very nice and helpful. I have no doubts that I will be equally impressed with the students as the weeks progress. I have a wide variety of interests outside the classroom. I obviously enjoy anything art related — from creating on my own at home to visiting museums, anything art related seems to interest me. I also enjoy sports. I’ve run and coached track and field and I enjoy playing softball and roller derby. I really enjoy spending time outdoors (except in the winter). I love to go camping, hiking, kayaking, fishing, or anywhere where I can explore and enjoy nature. I have a black lab mix named Bruce Wayne. I adopted him from a shelter where he was named Batman, and decided to stick with the theme. A Racine native and graduate of Martin Luther High School, Andrew spent the last three summers in Cape Cod as scenic designer and lead scenic painter for 12 productions. 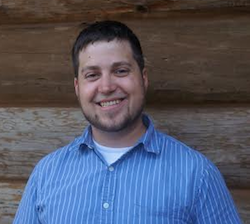 Andrew acquired a Masters of Fine Arts in Scenic Design from Illinois State University and Bachelors of Arts from Wisconsin Lutheran College. Why did you choose Prairie? Teaching at Prairie is the perfect opportunity for me to pursue my dream of teaching technical theatre. I have been involved in theatre my entire life, and I can now instill a love for theatre amongst my students. As the theater director, I also have flexibility to try new teaching methods and broaden a student’s experience in the arts. What interests do you have outside of the classroom? Secondary to my interest in theatre is baseball. Without hesitation, I will take any chance available to listen, watch or attend a Brewer’s game. Three words come to my mind when I think about Prairie — pride, professionalism and flexibility. Students and teachers show a strong sense of pride in themselves, their work and the school. In terms of professionalism, everyone goes above and beyond to make Prairie a professional place. Flexibility is exhibited from top to bottom in the classroom and curriculum making it a wonderful teaching environment. 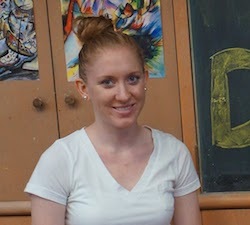 A Racine native and Badger alumna, Brianna joins Prairie after working in Oak Creek where she taught art in grades k-12. She acquired a Bachelors of Science in Art Education and Adaptive Art from the University of Wisconsin-Madison. What do you look forward to at Prairie? I have had the opportunity to teach in Wisconsin, Georgia and Connecticut. Through these experiences, I have learned so much and am excited to use what I have learned here at Prairie. Growing up in Racine I have always been aware of Prairie, but this year I was granted the wonderful opportunity to return and teach in my hometown. Prairie has been so warm and welcoming to me as a teacher. I especially enjoyed the first week where we participated in a handful of fun “get to know you” activities directed by the new Head of School. The day was a fun and relaxing way to get acquainted with everyone. Outside of the classroom, I have many interests. I enjoy spending time with my family and friends, reading, running, watching TV and so many other things.